Baking soda is one of the most often used products in the household. 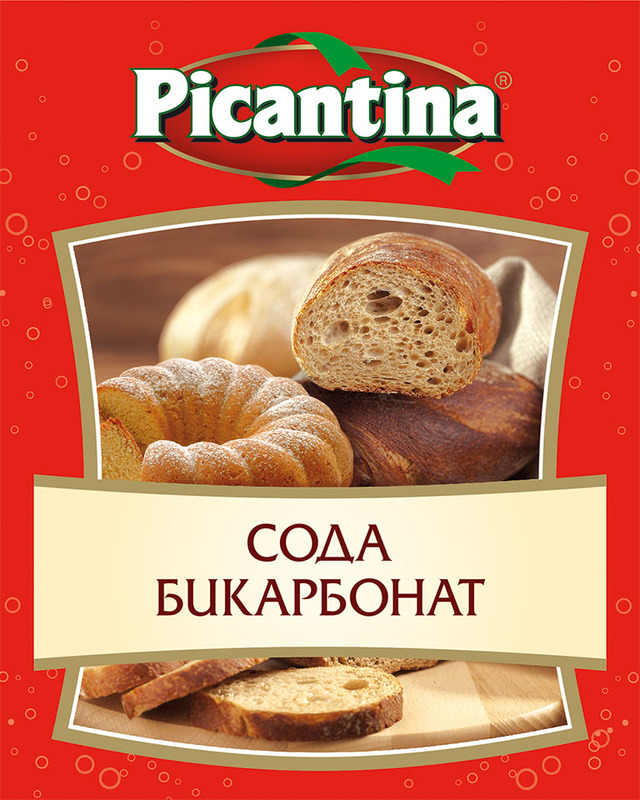 It is used as raising agent in bakery together with some acids /citric, malic/ or yoghurt. Gives delicate sparkling effect on home-made lemonades. Picantina seasonings are selected by experts and stored in most safe conditions. They are packed in non-transparent try-plex foil, to avoid the influence of sunlight and air. This way they keep all their benefits from the moment of packaging till the moment of last usage.